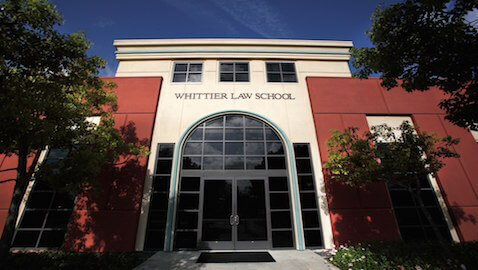 Summary: Whittier Law School provides services to both its alumni and the community with a new program. Lincoln Law School has created a legal aid program for entrepreneurs. The Whittier Legal Access Program launched last week with ten attorneys who graduated from Whittier Law. They will be provided with mentoring, training, staff, and office space. Most of the attorneys are recent graduates who want to hang their own shingle instead of joining a larger law firm. Hiraizumi said, “It provides a leg up. It’s hard to get clients on your own when you don’t have experience to back you up.” She added that she’s been matched with about ten clients so far. Her specialty is estate and tax planning, but she also wants to expand into family law. So far, she has been able to help her new clients with child support and divorce issues. For now, Hiraizumi meets clients in the Legal Aid Society’s Santa Ana offices. In the spring, the site of a former Dairy Queen will be transformed into the program’s new offices. Whittier Law School’s associate dean, Marty Pritikin, said that he created the program with Touro Law Center’s law firm “incubator” at City University of New York in mind. Many such programs have been created at various law schools, including two in San Diego. The University at Buffalo Law School opened a legal aid clinic for veterans. Pritikin said, “My view is law schools need to rethink their relationship to their grads. Education and training doesn’t end when they graduate.” He added that many alumni were torn between having a nice paycheck from a corporate practice and serving the community in public-interest law. Do you think the program will be successful? Yes, it will help the graduates gain experience and will give back to the community. I think it will help some, but I am not sure if it will have a major impact. According to the American Bar Association, alumni will serve one year terms in the program. In addition, the program will help Whittier Law grads who are entering the job market. In 2013, just 57 percent of law school graduates nationwide were able to find full-time jobs that required passing the bar exam within 9 months of graduation. Whittier Law’s employment rate was 40 percent. The University of Minnesota Law School opened a legal clinic for immigrant clients. According to Pritikin, assisting alumni with employment is not the ultimate goal of the program. According to the school’s survey of its 2011 class, 70 percent had secured employment within 15 months of graduation.